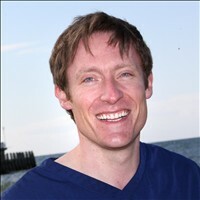 I have been seeing Christopher for ten years since the beginning of Ocean and the fact that I rarely have to have anything done is testament to what a great Dentist and Professional he is. he is kind and thoughtful and spend whatever time you need to make anyone feel at ease. 100% recommend Christopher and all the team at Ocean they are brilliant.....I even enjoy going to the Dentist! Very well looked after, didn't have any worries or discomfort. Thank you. Having broken a tooth on Sunday I called the surgery on Monday morning and was given an appointment mid afternoon. Christopher diagnosed my complaint and fixed the broken tooth very quickly, with no pain and at a modest fee! By 9 pm I had enjoyed a fine fillet steak and half a bottle of good French wine. Great repair service! Chris is the best dentist I have ever found. I always receive a first class friendly and professional service, thank you. I lost a large section of metal filling and enamel from a key tooth and wondered how soon I could have it filled. I was given an appointment the morning that I phoned, and so valued the professional and competent manner in which Christopher Manlow carried out the needed repair.